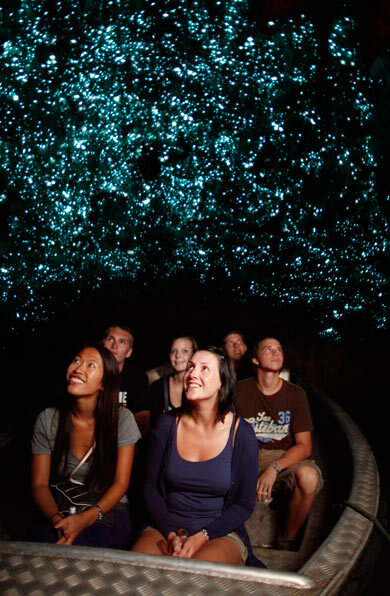 An evening tour to explore a mysterious underground world of rushing water before drifting in silent darkness beneath the luminous shimmer of thousands of glowworms. 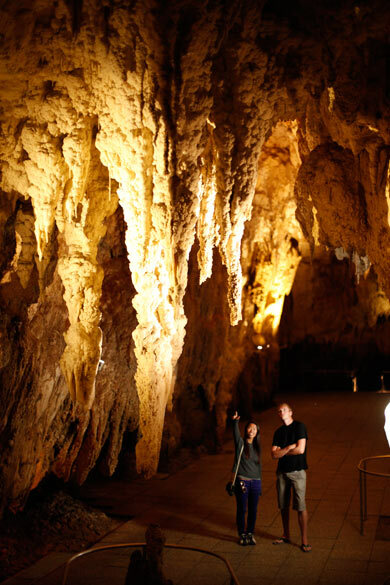 An excursion to the Te Anau Glowworm Caves begins with a cruise across spectacular Lake Te Anau on a purpose-built scenic cruise vessel. 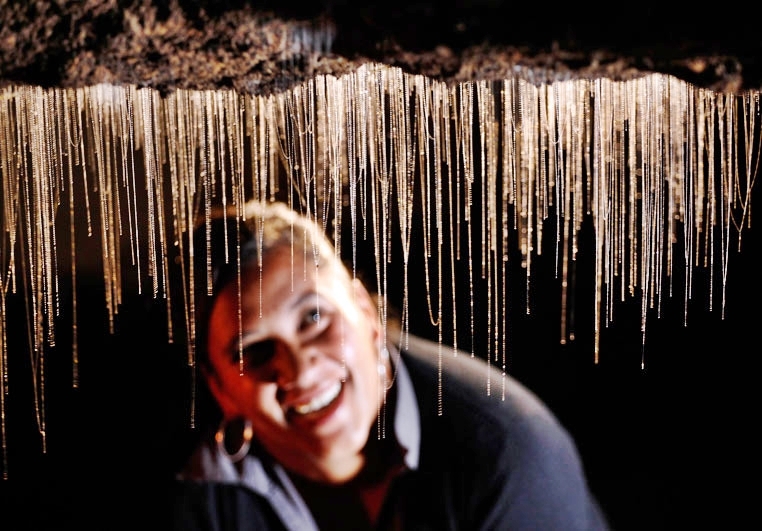 This underground world is astonishingly beautiful. By geological standards the caves are very young (12,000 years) and are still being carved out by the force of the river that flows through them. The result is a twisting network of limestone passages filled with sculpted rock, whirlpools and a roaring underground waterfall. 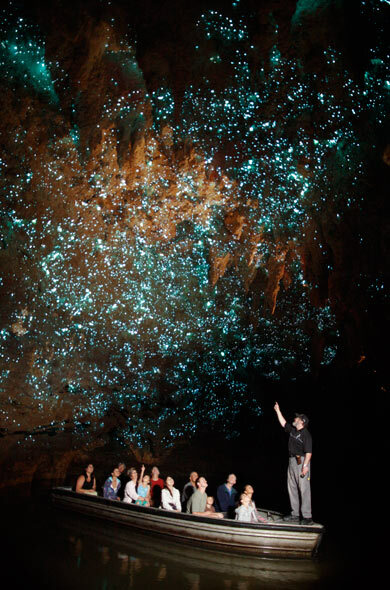 Deep inside the caves, beyond the roar of the water, you will be taken by small boat into a silent hidden grotto inhabited by thousands of glowworms. In the subterranean darkness, they produce a glittering display that is nothing short of extraordinary.